Marc Garthe was born in Toronto Ontario, Canada. born player ever to play regularly in the N.H.L. At the age of 18, he went on to play 3 years of Junior hockey, for the Columbia Valley Rockies, in Invermere B.C. is the president o the Canadian Amateur Hockey Association. The team won the bronze medal, and featured future N.H.L players such as Dallas Drake, Jon Klemm, and Dane Jackson. he decided school was not his calling, moving to Australia to play hockey down under. 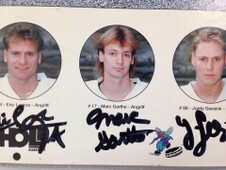 Australia led to his next stops in Germany, Sweden, and New Zealand where he also played and coached ice and inline hockey. He has had his Canadian coaching license since the age of 20, and also has his Level A German license. He also worked at several Czech hockey schools including the Jaromir Jagr hockey school in Kladno Czech. 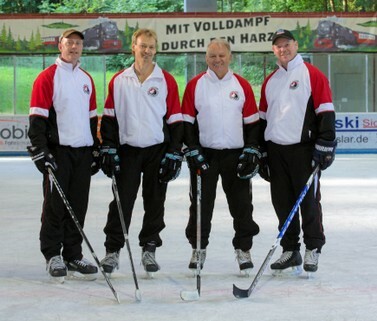 The Canadian Elite Hockey Academy (CEHA) was started in 2013, with a camp run in conjunction with EC Lauterbach. "The goal was to provide free ice time for my 2 kids, money was not a motivating factor" says Marc. hockey school in Germany, with over 700 happy customers including players from Russia, Switzerland, Holland, Canada, Belgium and Luxembourg. Roy Mcrae, and Peter Westerkamp among others. Marc Garthe, has coached, as well as played professionally for over 30 years. 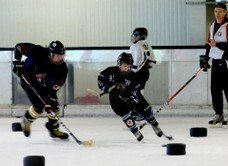 showing huge improvements in their skill development, especially in stick-handling, skating and passing". "Many CEHA players are now among the best of their age group in Germany " says Garthe proudly. as well as of course hockey skill development.